Team Unitech is led by a group of technocrats who not only posses a vast knowledge of the real estate and construction sector, but also endeavour to constantly innovate creating more value for the company's stakeholders and homebuyers. Team Unitech is committed to being the first choice for Indians when it comes to fulfilling their dream of owning a home. Ramesh Chandra is a graduate in civil engineering from IIT Kharagpur with a masters degree in structural engineering from the University of South Hampton (UK). He was one of the founders of Unitech Group and has led it to become one of the top real estate companies in India. His immense knowledge in the real estate business and his sound technical acumen has earned him a reputation of being one of the brightest thought leaders in the real estate industry in India. Ajay Chandra has studied civil engineering from Cornell University, USA and completed his masters in business administration from University of North Carolina, USA. He joined Unitech in 2003 and has been the person behind its expansion to various geographies including Kolkata, Mumbai, Bangalore and Chennai and to dierent verticals such as retail malls and amusement parks. A sports enthusiast, he also has a keen interest in building architecture and interiors. Sanjay Chandra has studied business management from University of Massachusetts & Boston University. 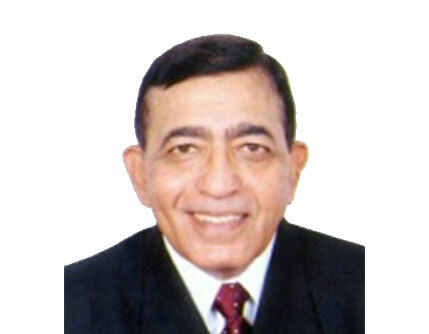 He joined Unitech as Head - Sales and Marketing in 2002 and became Managing Director of the company in 2005. He has been instrumental in creating and launching several marquee projects in NCR and in getting Unitech Corporate Parks listed on London Stock Exchange's AIM. He was also placed on the List of Young Global Leaders (YGL) by the World Economic Forum in Geneva in 2011. 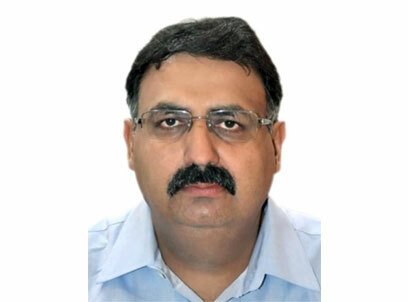 Mr. Rekhi is a Chartered Accountant, 1992 batch having around two & a half decades of experience in the Corporate Sector at various level in Finance & Accounts department. He has worked with General Motors as CFO & Director and also with Renault Nissan Automotive as CFO. 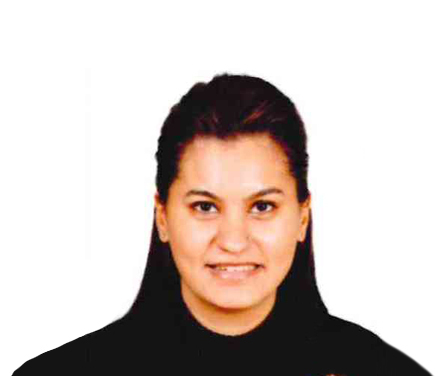 Hemangi Dhir, aged 26 years, a Bachelors of Science in Finance & Management from University of South Carolina, United States. Managing Partner in a garment export house since 2012 and had worked with Ernst & Young, Washington DC. A dynamic, multi-faceted professional with distinguished career profile spanning nearly 38 years of service in the Indian Army. A veteran of 1971 Indo-Pak War, General Bhutani, during his long career, has held some very sensitive, responsible & challenging military positions: besides military aspects, these assignments also involved intricate Strategic and Financial Planning, General Administration & Logistics, Management of Human Resources, Interpersonal Relations, Planning, Coordination and Execution of Welfare projects. A decorated soldier; honoured with the awards of Ati Vishist Seva Medal and Vishist Seva Medal for distinguished service of the highest order. Has the distinction of holding the prestigious appointment of Commandant Military Intelligence Training School (a premier Training Establishment of the Indian Army), & Colonel Commandant of the elite Intelligence Corps prior to his retirement from the Indian Army in 2007. A post-graduate, he is an alumni of Hindu & Hans Raj Colleges of Delhi University, Defence Services Staff College, Wellington & National Defence College, New Delhi. The Company has optimum combination of Executive and Non-Executive Directors including a woman Director. The Company has an Executive Chairman. The Board of the Company consists of Six (6) Directors comprising of three (3) Executive Directors and three (3) Non-Executive Independent Directors. Non-Executive Directors of the Company are entitled to the sitting fees for the meetings of the Board of Directors, Audit Committee and Committee of Directors attended by them. The Board of Directors meets at least four times a year, with a maximum time gap of 120 days between any two consecutive meetings. The intervening period between two Board Meetings is within the maximum time gap as prescribed under Companies Act, 2013 and Securities and Exchange Board of India (Listing Obligations and Disclosure Requirements) Regulations 2015 ["SEBI (LODR) Regulations 2015"]. All the relevant information, required to be placed before the Board of Directors as per SEBI (LODR) Regulations 2015 are duly considered and taken on record / approved by the Board. Further, the Board periodically reviews Compliance Reports in respect of laws and regulations applicable to the Company. None of the Directors on the Board is a member of more than 10 Committees or Chairman of more than 5 Committees (as specified) across all Public Limited Companies in which he/she is a Director. The Company has laid down a Code of Conduct ("Code") for all the Board members and senior management personnel of the Company. The Code is also posted on the website of the Company. All Board members and senior management personnel affirm their compliance with the Code on annual basis. A declaration to this effect, signed by the Managing Director of the Company, forms part of the Annual Report of the Company.